The Ayurveda Basic Training Event 1 was very successful. With the blessing of Mahamandaleshwar Paramhans Swami Maheshwarananda Ji and the fresh presentation of Vaidya Sushrut Sardeshmukh, all course participants had a great time with new aspects to life according to Ayurveda. The Ayurveda Academy of Yoga in Daily Life was represented through the scientific director Prof. Dr. S.P. Sardeshmukh and his son Dr. Sushrut Sardeshmukh. 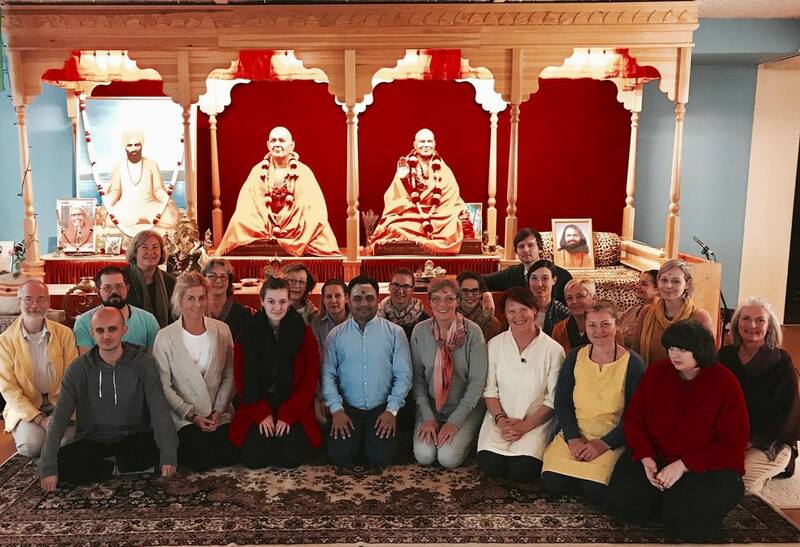 They were keynote speakers at the India Day and Symposium -titled Ayurveda, Yoga, and Meditation for active and healthy aging at Graz, Austria from 25-27 September, 2018. The programme was organized in cooperation with the Ministry of Ayush and the Medical University of Graz. Doctors, Researchers, scholars, experts from many countries like India, Austria, UK, Czech Republic, Germany, Poland, Surinam, Italy, Guyana, USA, France, Netherlands participated in the Symposium. Workshop on basic principles in German language. We were invited by Yoga in Daily Life in Klagenfurt in Carinthia and Linz in Oberösterreich, Austria. What we can learn from our pulse with special focus an arthritis - Free Ayurveda lecture by Dr. Sushrut Sardeshmuknk from Ayurveda college BSDT - Ayurved Mahavidyala Vishwashanti Dam. Join us on 5 April, 2018 at 17:00 at the Indian Embassy in Vienna.